This wide-ranging interdisciplinary collection―the first of its kind―invites us to recon­sider the politics and scope of the Roots phenomenon of the 1970s. Alex Haley’s 1976 book was a publishing sensation, selling over a million copies in its first year and winning a National Book Award and a special Pulitzer Prize. The 1977 television adaptation was more than a blockbuster miniseries―it was a galvanizing national event, drawing a record-shattering viewership, earning thirty-eight Emmy nominations, and changing overnight the discourse on race, civil rights, and slavery. These essays―from emerging and established scholars in history, sociology, film, and media studies―interrogate Roots, assessing the ways that the book and its dramatization recast representations of slavery, labor, and the black family; reflected on the promise of freedom and civil rights; and engaged discourses of race, gender, violence, and power in the United States and abroad. Taken together, the essays ask us to reconsider the limitations and possibilities of this work, which, although dogged by controversy, must be understood as one of the most extraordinary media events of the late twentieth century, a cultural touchstone of enduring significance. 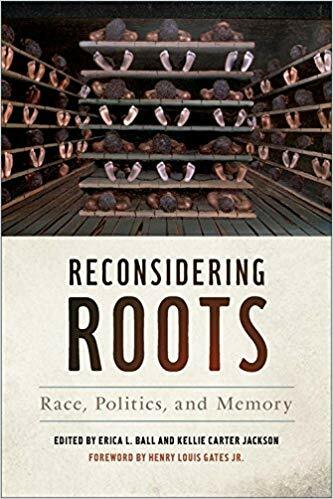 In ten chapters, the essayists in Reconsidering Roots posit that, although Roots has been a topic of debate since its release, few would argue against its impact on readers and viewers around the world, and how they think about slavery, reconstruction, African civilization, and the modern civil right movement. Editors Erica L. Ball and Kellie Carter Jackson have compiled an honest and intriguing look at Roots and its creator, Alex Haley. . . . The 1977 miniseries Roots was adapted for a contemporary audience in 2016, suggesting that the narrative continues to be cherished. This collection―which is a thorough examination of Roots―helps to explain why.